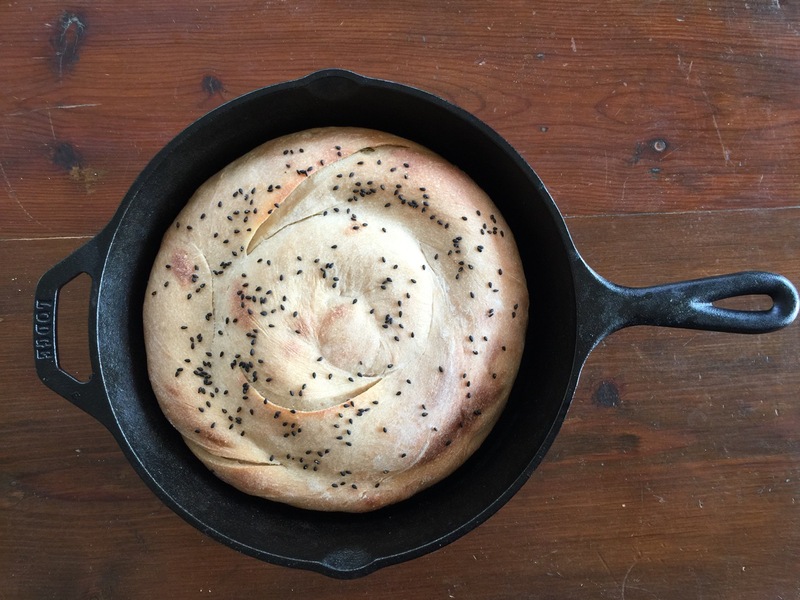 We’ve got a cast iron skillet giveaway going on now, and everyone has been wondering about whether or not you can make Amish Friendship Bread in a cast iron skillet. Most Amish Friendship Bread recipes can be made in a cast iron skillet. The key is making sure your skillet is well-oiled or buttered. Because a cast iron skillet retains a lot of heat in the oven, you’ll want to keep an eye on your baking time, checking 10 minutes earlier, to make sure it doesn’t overbrown. 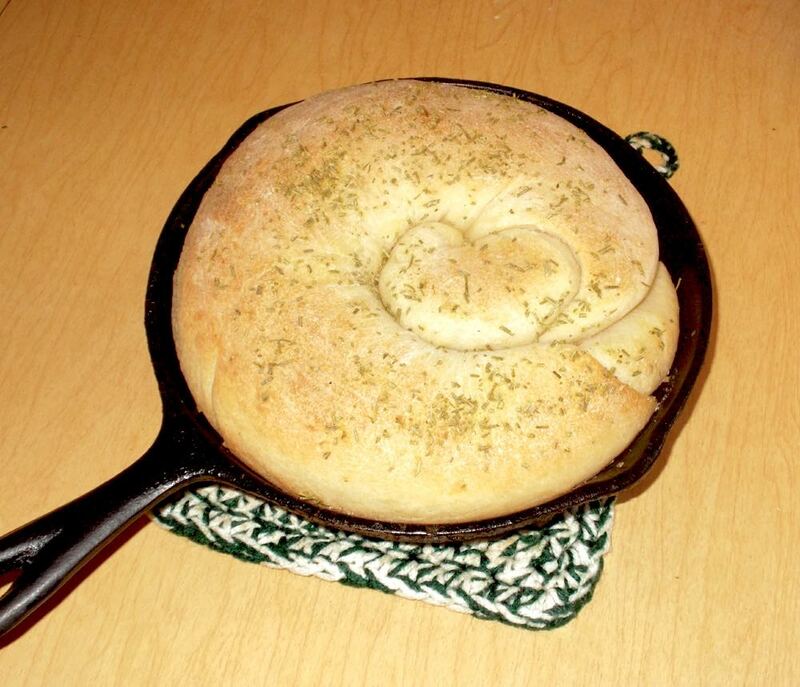 Here’s another recipe to add to your collection: a savory Scallion Skillet Amish Friendship Bread. I topped it with black sesame seeds, but you can also use white sesame seeds or coarse salt. This version is baked, but I’ve included directions for making it on a stovetop as well. Make sure you have an active starter before making this recipe — you’ll need that yeast to work its magic! 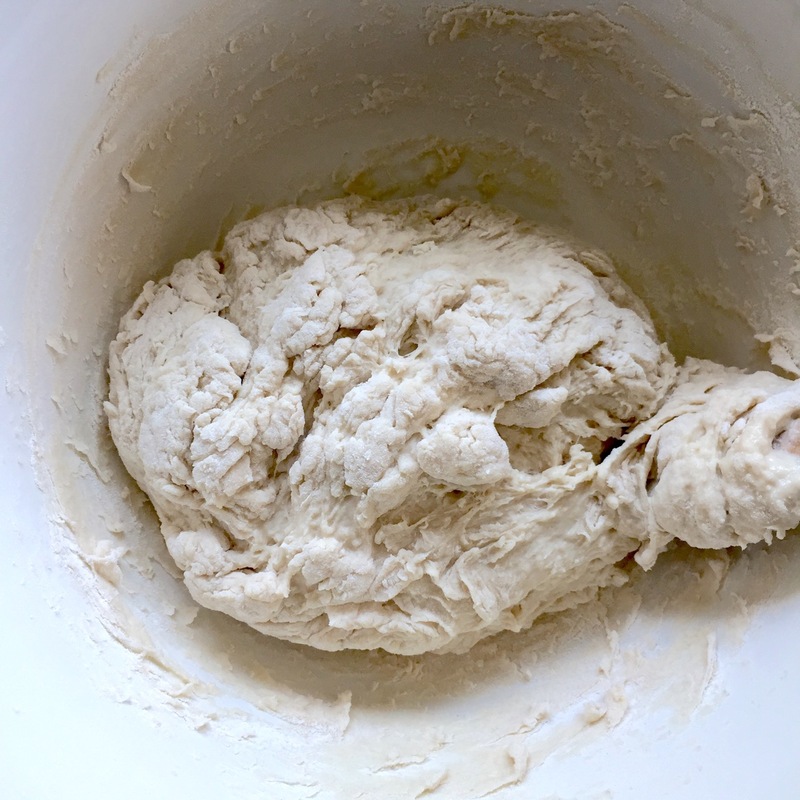 Add the ingredients for the dough, mixing with a wooden spoon or dough hook if you have a stand mixer. You’ll want to incorporate the flour a cup at a time until a soft ball is formed — I did this last part by hand, which was sticky. 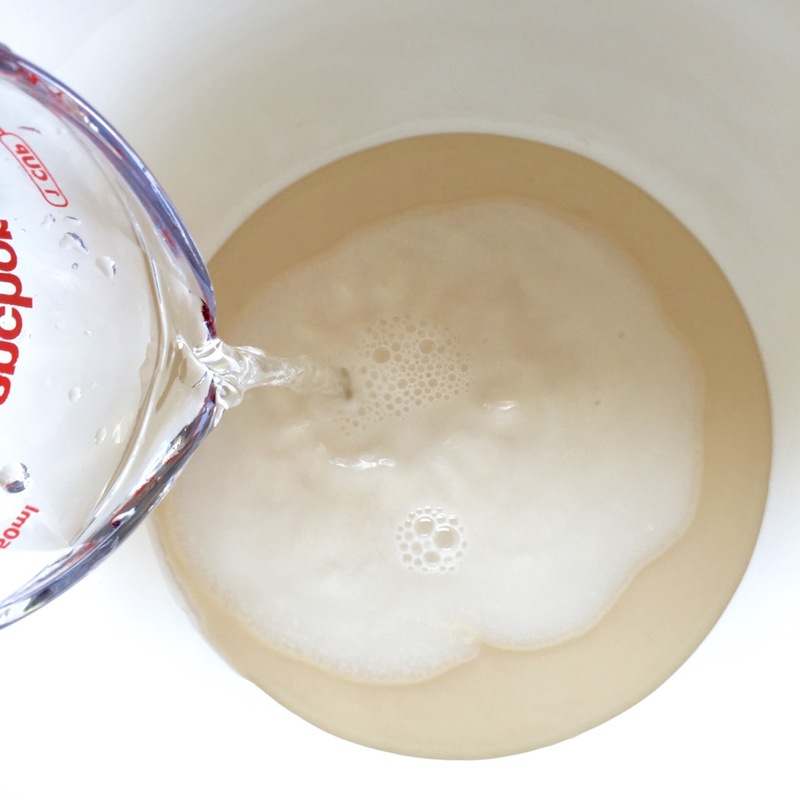 Place the ball of dough into an oiled bowl. Cover with plastic wrap and let it rise for one hour. It will double in size. 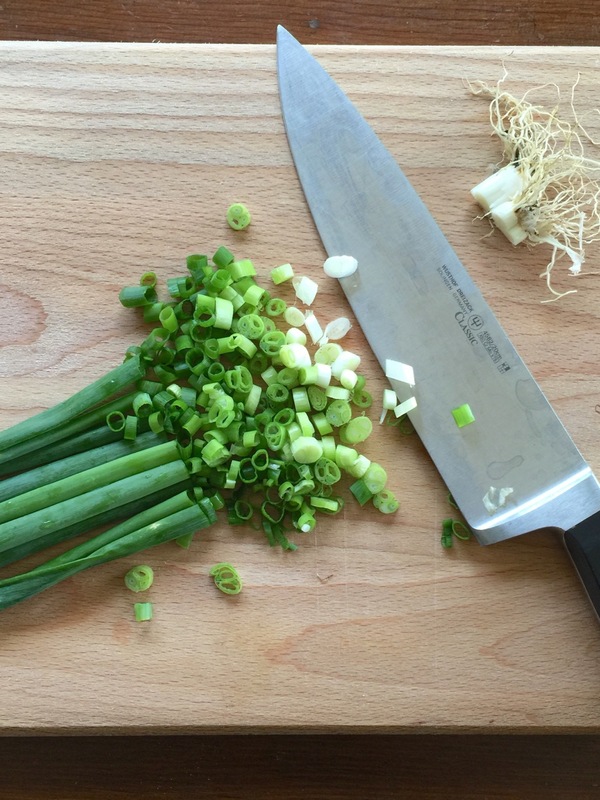 While it’s rising, chop up your scallions or green onions, being sure to include the white part (discard the very end where the roots are). 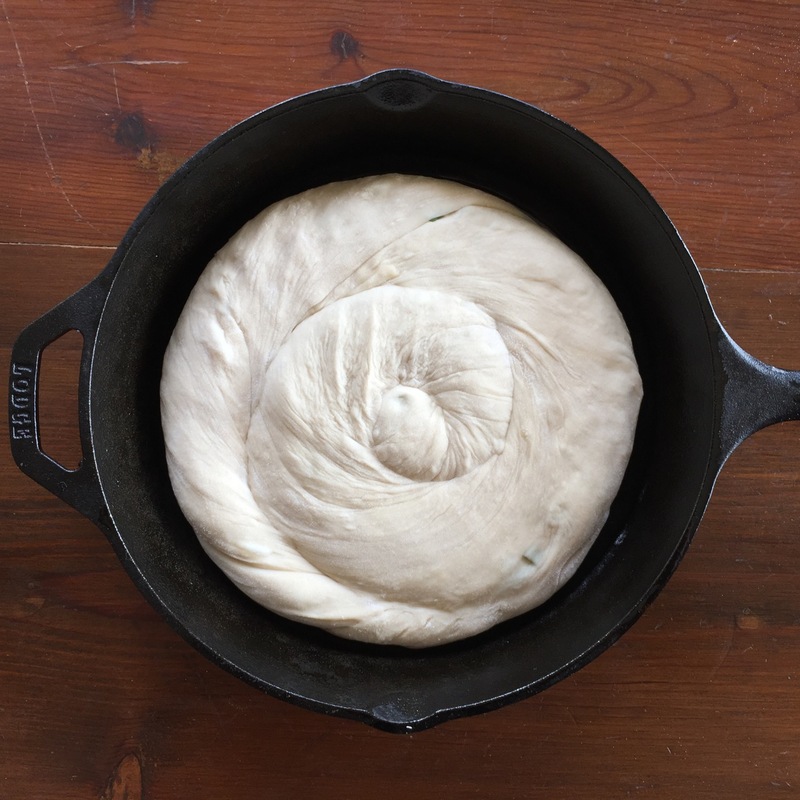 On the dough has risen, place onto a floured surface and roll into a circle or disc. Next, brush the surface with oil. I used sesame oil because I wanted a hint of flavor, but regular cooking oil or olive oil works just as well. 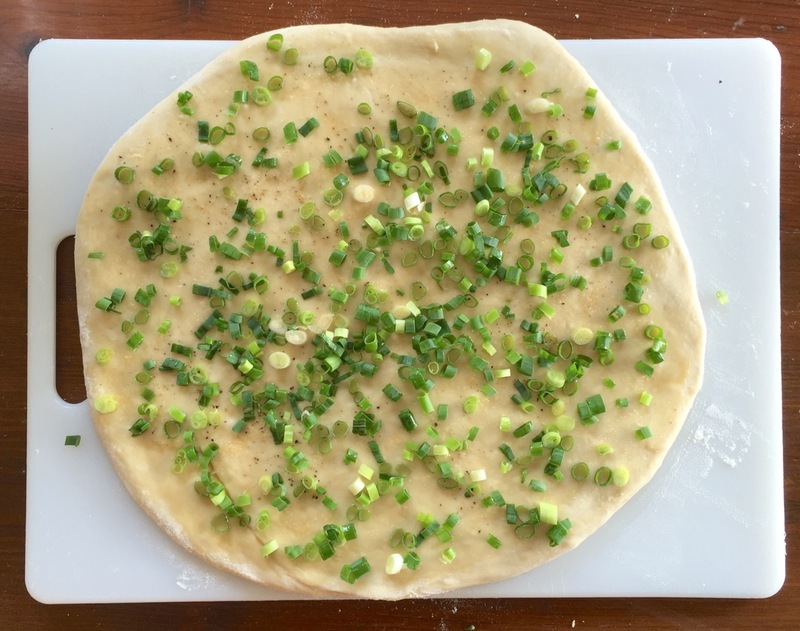 Sprinkle the chopped scallions or green onions over the entire surface, then add some salt and pepper. Now comes the fun part! Starting from the bottom, roll the edge into a log. It should be snug but not tight. Go slow and keep tucking any wayward scallions back into the log if necessary. Once that’s done, take both ends and gently twist the log a few times. Then you’ll curl it into a spiral, tucking the end underneath. 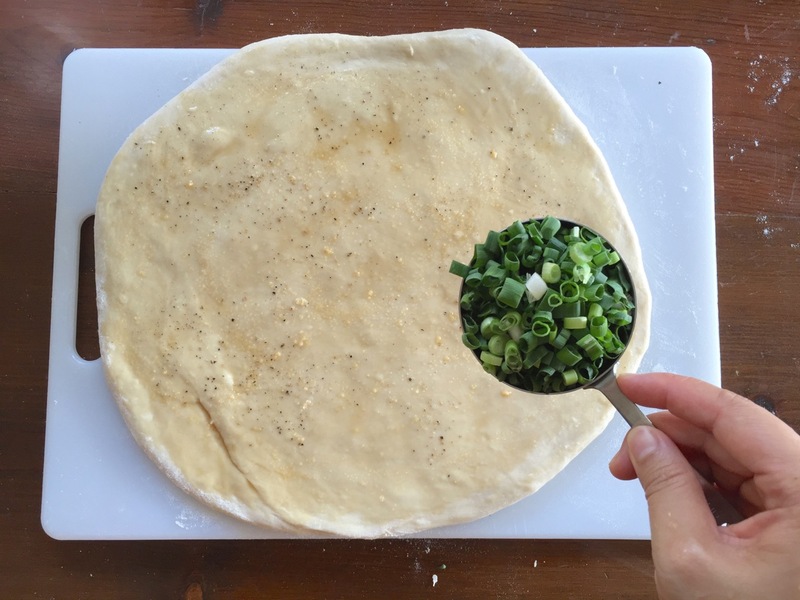 Use your hands or a rolling pin to flatten and roll out the spiral until it fits the width of your skillet (or comes close). 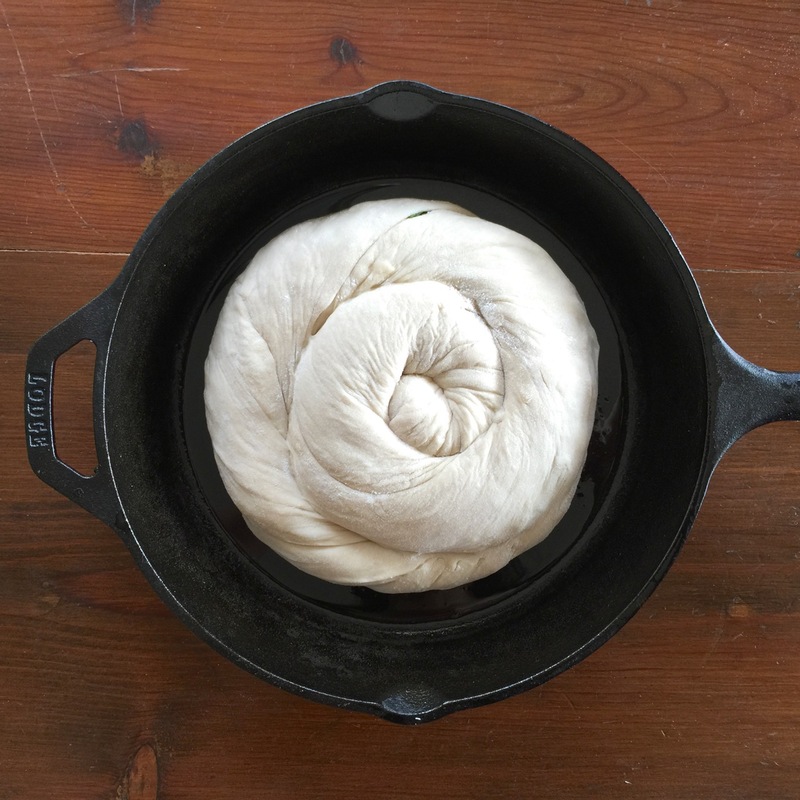 Place the disc into a well-greased skillet (note: if you want to cook your bread on the stovetop instead of the oven, skip this step and read below for how to proceed). Flatten it some more with the heel of your hand to help it reach the edges and then cover with plastic wrap or a loose dish towel and let it rest for 20 minutes. Preheat the oven 400 °F (204 °C). After 20 minutes, brush the top of the dough with oil and sprinkle sesame seeds or coarse sea salt. Turn the bread onto a cooling rack. Slice and serve warm. You can also cook this on the stovetop. Instead of placing the dough in the skillet for a second rise, place it on a plate and follow the same steps (brush oil, sprinkle with sesame seeds or coarse sea salt). Drape with oiled plastic wrap and let it rise for 20 minutes. Heat up oil in the skillet on medium high heat. You’ll want more oil in the pan (you should see it shimmer). Once the pan is ready (just before smoking), carefully add the dough. Cook for 6-8 minutes, checking the bottom to see that it’s gold and browning nicely — adjust heat if necessary. I also recommend poking a hole or two in the center of the bread to help with heat distribution. Something wide like a chopstick works well, but a skewer is fine, too — just make more holes. Make sure the hole goes straight through the bread to the bottom of the pan. Once one side is cooked, flip it over and repeat. If your dough doesn’t quite reach the sides of the pan, you may want to push it up against one of the sides so it can brown, too. 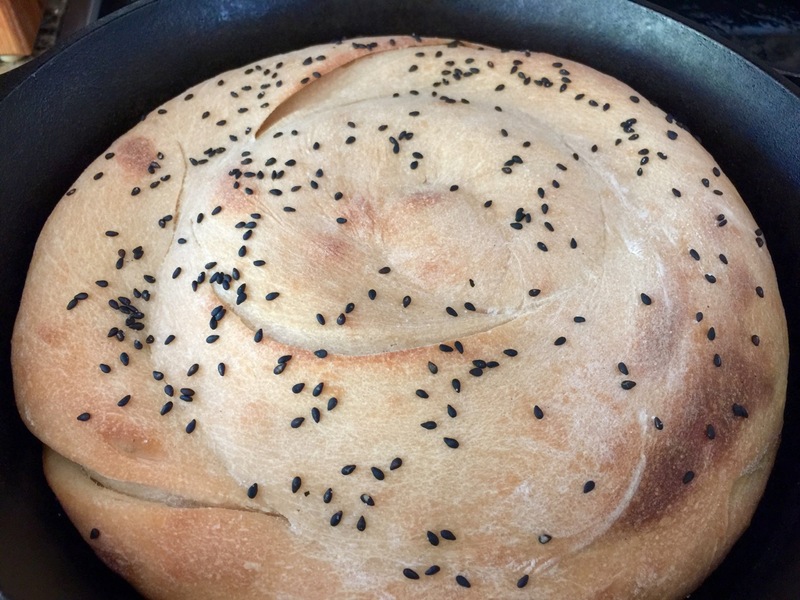 If it’s your first time making the bread on the stove top, you can carefully cut a small slice right out of the skillet to make sure it’s cooked through. Once it is, remove from heat and turn onto a cutting board. Slice and serve warm. 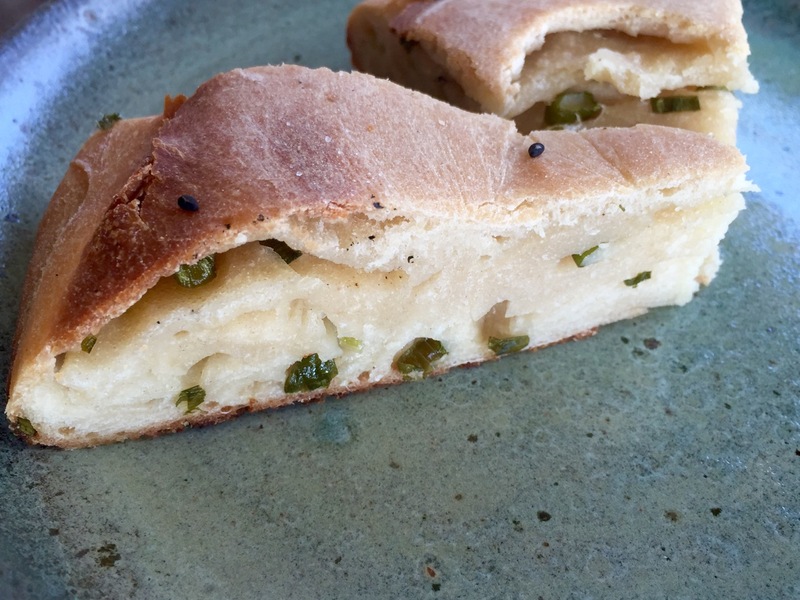 Make this savory Scallion Amish Friendship Bread recipe right in your cast iron skillet. 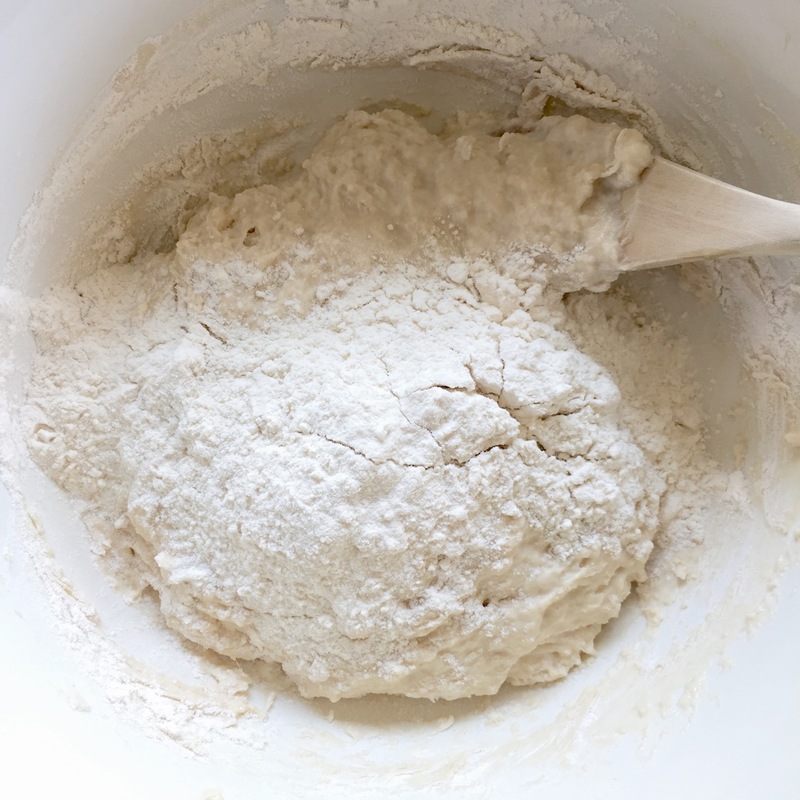 In a large bowl, combine starter, 1 cup of flour, oil, salt and water. 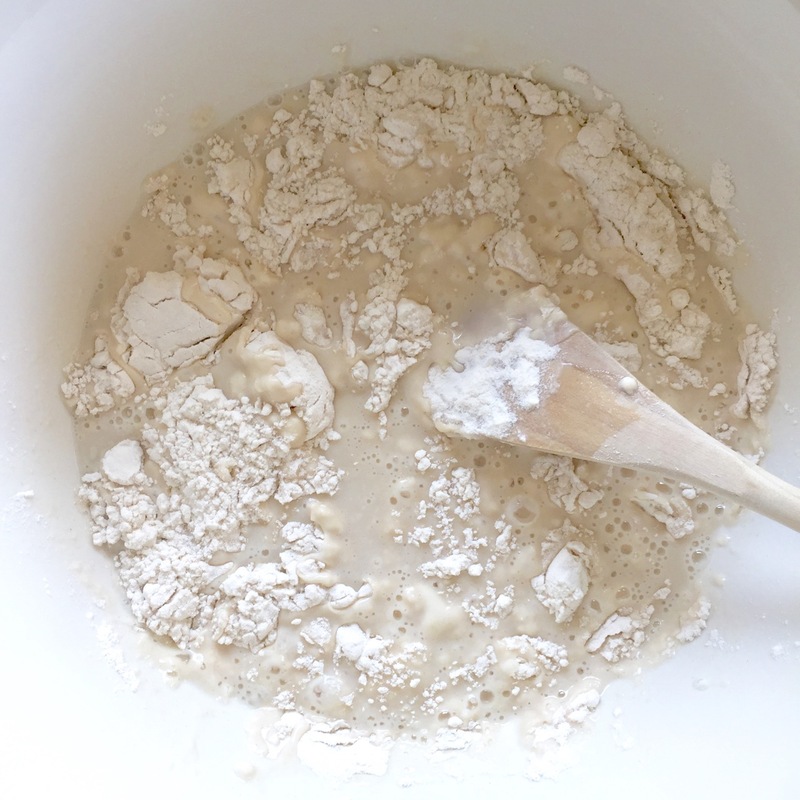 Using a wooden spoon (or dough hook if you have a stand mixer), mix and add remaining flour until fully incorporated. I worked the dough by hand towards the end to form a smooth ball--it will be sticky. 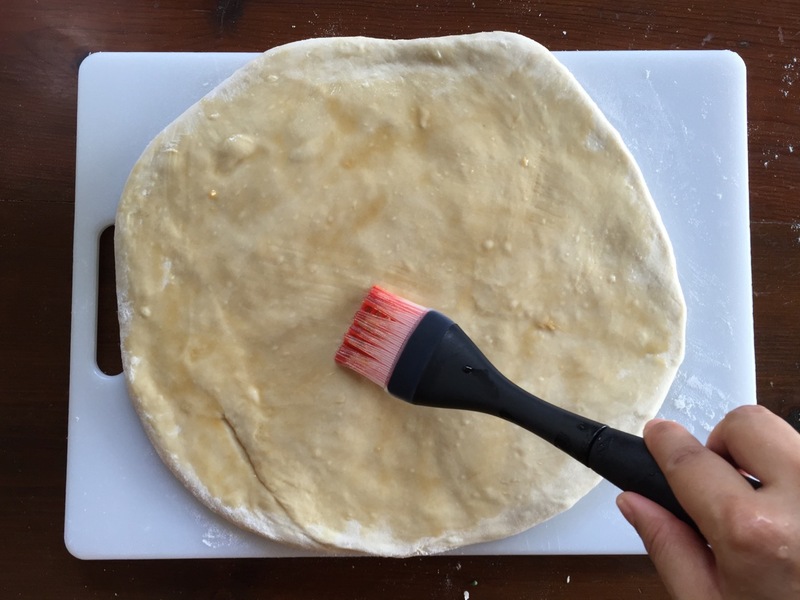 Place the dough ball in a greased bowl and cover with plastic wrap. 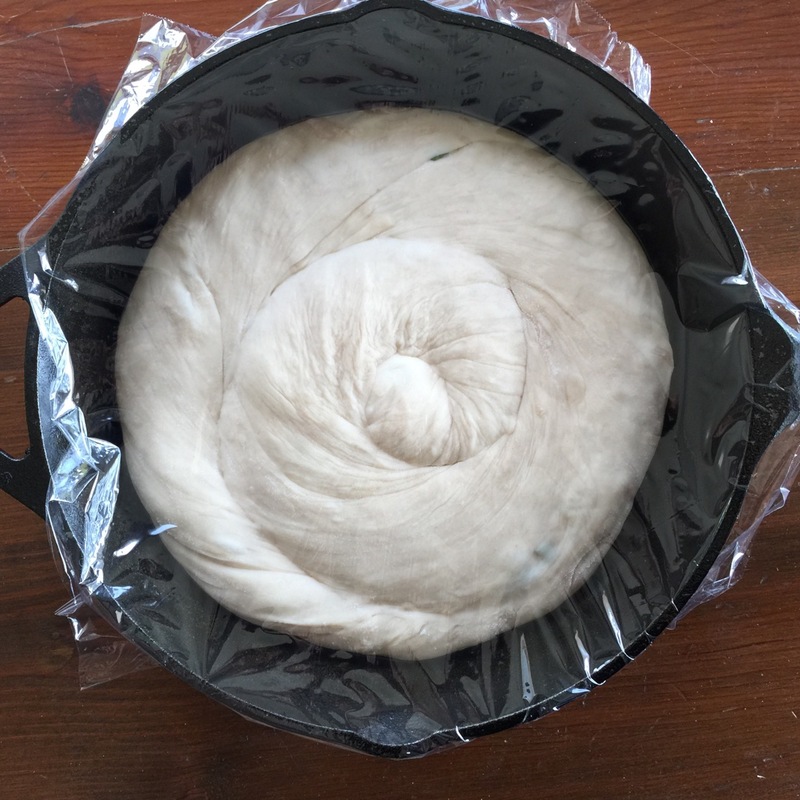 Let the dough rise for 1 hour or until it has almost doubled in size. 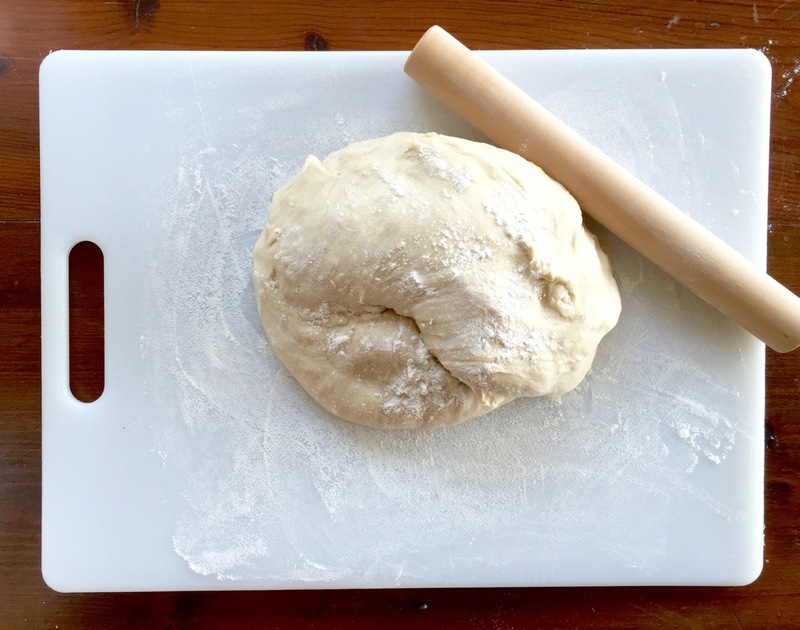 On a floured surface, roll the dough into a circle. Brush oil onto the surface then sprinkle with scallions. Salt and pepper. 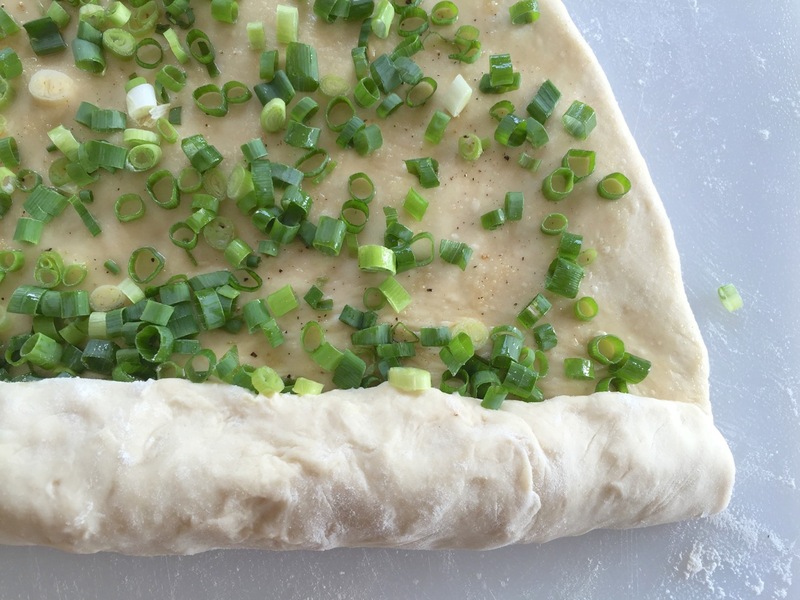 From the bottom, begin to roll the dough into a long log. Then twist the log into a spiral. 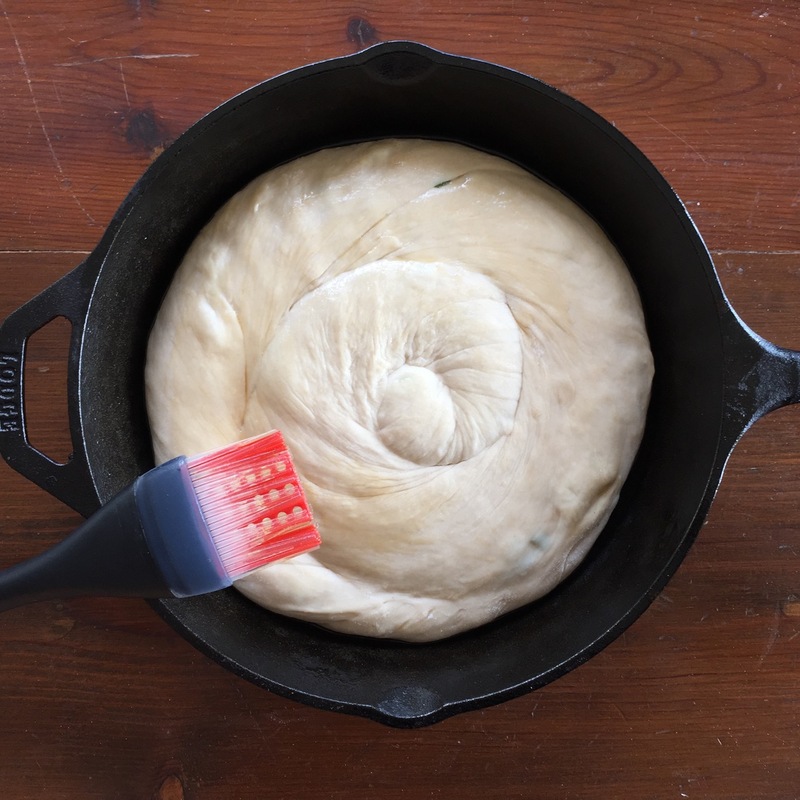 Use a rolling pin or the palm of your hand, flatten the spiral into a round disc (8" or 10", depending on the size of your cast iron skillet). 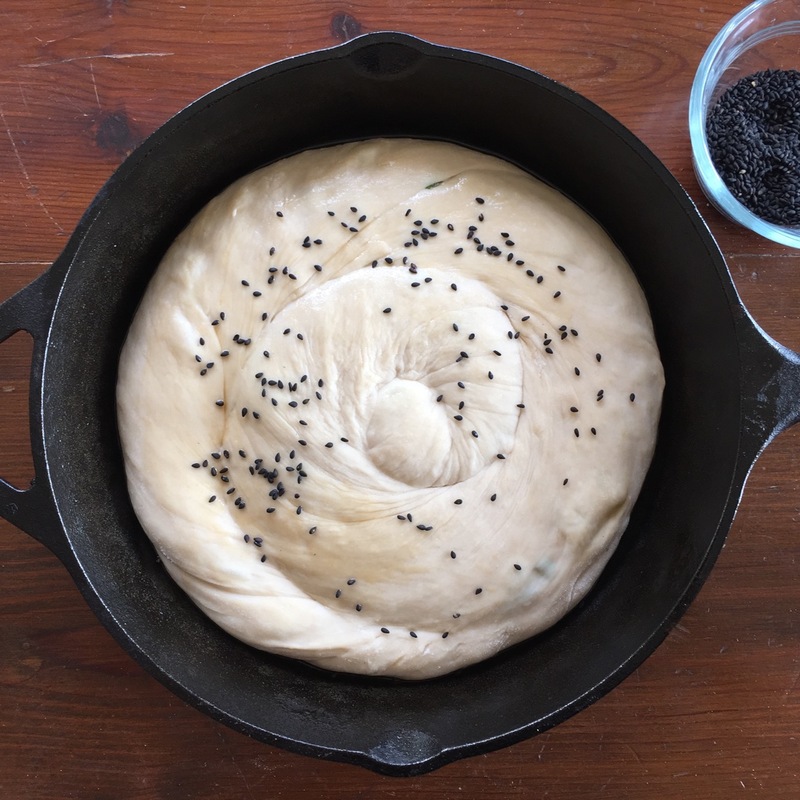 Sprinkle sesame seeds on the top, pressing them gently into the dough, then turn it over and place the disc into a greased cast iron skillet. Brush the top with oil and sprinkle more sesame seeds. Cover with plastic wrap or a dish towel and allow to rest for 20 minutes. Preheat the oven to 400 °F (204 °C). Bake for 35-40 minutes until the top is golden. Place foil on top if the bread browns too quickly. If you want to make this on the stovetop, after the second rise place the well-greased skillet onto the stove on medium high heat. Once the oil is hot (make sure the oil is shimmering), place the disc in the skillet. Cook for about 6-8 minutes, poking a hole down to the bottom of the skillet in the center of the bread to help distribute the heat (a chopstick or skewer is good for this), until the bread has a golden brown crust. Flip over and cook for an additional 6-8 minutes. Is there no leavening in this bread? I made the bread and boy, it sure didn’t need any more leavening! It’s beautiful, can’t wait to eat it! How do I post photos? I’ll show you how pretty it came out!! !